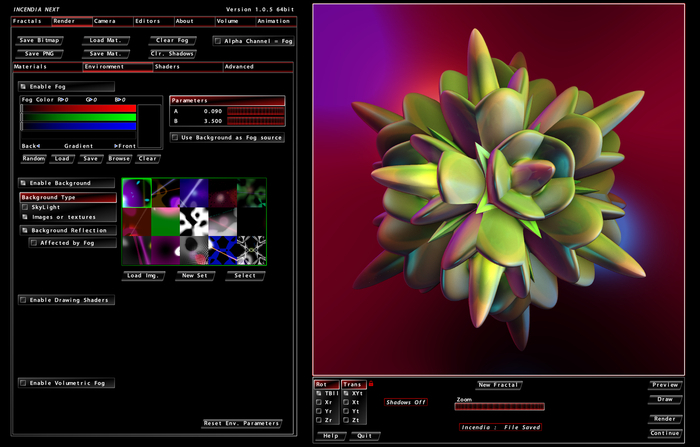 Incendia is a Fractal Engine that allows you to design and explore the realm of 3D Fractals. The application includes multiple 3D editors for design and process Fractals as well as the elements that supports them. Incendia can also exports fractals as meshes, suitable for 3D printing. Please support the development of Incendia and its related programs. This project really need donations in order to keep all up. You can donate using the PayPal button below. Your support is greatly appreciated!